This post has been updated for 2018 on November 21, 2018. It’s that time of the year. Many athletes are asking which trainer to get. In the past, I just ranked indoor bike trainers based on my own experience. However, I realized everyone’s needs are different so I am going to do this guide a little different. If you want my own personal general ranking, you can read my own indoor bike trainer picks here. 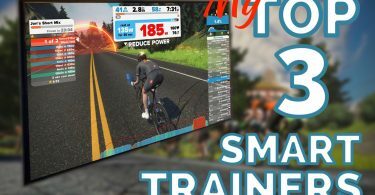 One thing to note here – all indoor bike trainers I am recommending here are good trainers, smart, compatible with Zwift, TrainerRoad, Sufferfest, and many other cycling apps. All can communicate with your Garmin computer, Wahoo Element or Bolt, Garmin watch, or any device that is ANT+ or smart Bluetooth compatible. If the trainer you were considering isn’t listed here, then there is probably a reason I didn’t list it. Before going through the list, the first question you need to ask yourself: do you want a direct drive or wheel-on trainer? Direct Drive trainers tend to be more accurate, faster response time, higher wattage, more resistance, and better road feel. Direct Drive trainers don’t require calibration as often as wheel-on trainers. Direct Drive trainers can be quieter. Tacx NEO and Elite Drivo are one of the quietest trainers I’ve used. Direct Drive trainers don’t require a rear wheel so you don’t have to worry about tire wear and tear. Wheel-on trainers can be prone to tire slippage. Wheel-on trainers can be lighter and easier to move around. Wheel-on trainers are usually cheaper. With that out of the way, let’s go through each category. I am very finicky about road feel. All the trainers I am recommending below have a very good road feel. Some have bigger flywheels like the CycleOps H2 but that doesn’t directly translate into better road feel than the KICKR for example which has a smaller flywheel. The only trainer that expanded on road feel is the TACX NEO with their virtual flywheel and road feel simulation. Basically, the NEO can simulate cobblestone roads, dirt roads, wooden boards, and more with a compatible app like Zwift. Other than that, I think you will be happy with the road feel of any trainer you pick below. Like I mentioned above, direct drive indoor trainers tend to be more accurate. If you have a power meter already, then that might not matter to you as much since you will most likely want to use that instead. Also, depending on which application you like to use for training, most of them now offer power match feature, which basically can make adjustments to the trainer resistance based on numbers from your power meter rather than the trainer itself. If you don’t own a power meter, then accuracy might or might not matter to you depending on what you want to do with the trainer and your goals. With indoor training, speed doesn’t matter. Don’t even bother looking at it and don’t mention your average indoor speed to other cyclists on your group rides. What matters when training indoors is your power. That’s the only repeatable metrics you will have and you want to be obsessed about. Notice how I said repeatable? You want to be able to trust the trainer to repeat these numbers every ride so you can have a reliable metric to measure your training effect. When purchasing a trainer, you will see some power accuracy claims by the manufacturer such as +/- 3% or something like that. As long as the trainer is off by 3% every ride, then you have good repeatable numbers. It might be +3% or -3% when compared to a power meter. But as long as it’s always off by 3% then you are good. You might not be happy when you decide to try a real power meter because you are suddenly seeing lower numbers or higher number, but that doesn’t really matter. What matters here is you have a good reliable measurement produced by your trainer that you can use to measure your training. One of the best features of smart trainers is their ability to provide power numbers. To keep that number as accurate as possible, some trainers require calibration. This calibration process is especially important with wheel-on trainers and can take a few seconds but requires you to warm up the trainer for about 10-minutes. Some trainers don’t require calibration at all such as the NEO or Elite Drivo. Direct Drive trainers require calibration as well but not as often as there is no tire-to-rollers interface. I’ve talked about the importance of power accuracy in my earlier post: Bike Trainer’s Power Accuracy: Does it Really Matter? Bike trainers are getting quieter thankfully. We all tend to train at some odd hours, and nothing can ruin your training more than waking up a sleeping baby or significant other. Vibration produced by trainers is definitely a quick way to make your neighbors hate you. If a super quiet trainer is a must have then your options are: The Tacx NEO, Wahoo KICKR 2018 or KICKR CORE (Here is a video comparing all three). Noise is really a difficult thing to measure. Where you place your trainer, the mat used, the room, walls, furniture, etc can affect the noise. Furniture and carpet tend to dampen the noise a bit so the more furniture you have in your workout room the better. Based on my own experience, none of the trainers below is that loud. They are all good but some are quieter than others. None of these trainers woke up anyone in my house. Zwift is quickly turning into a cult in the indoor cycling world. Some gave up riding outdoors in exchange to chasing Zwift rewards. Companies are starting to notice that and started to develop trainers with Zwift in mind. For example, the road-feel simulation with the Tacx NEO and now Wahoo’s Climb. The maximum incline (slope or gradient) is another feature you want to pay attention to in order to experience some of the steep climbs on Zwift. Some climbs can reach up to 17% grade. The final climb up to the tower is mostly around 14% and can reach up to 17% for a few seconds. So a trainer with a 14% slope should give you a very good and challenging experience. All trainers below will give you good response time and overall good Zwift experience. I am also including the maximum incline in the table below for reference. In this category, I looked at what you get with each trainer. Accuracy, noise, and what’s included such as cassette, or 1-month free trial membership to Strava, Zwift, TrainerRoad or some other app. These are things that can have an effect on the price you pay for the trainer and some companies include more than others. 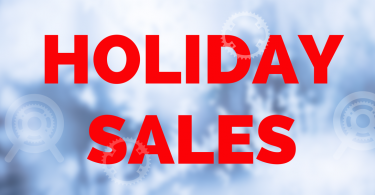 Also, some companies restrict their retail prices and prevent discounts more than other companies. Some trainers might have a better resale value than others. I scored each trainer below and ranked them based what you get for your money. If you are the rollers type cyclist, or your bike manufacturer recommends against the conventional trainers, rollers might be a good option. The only one that I would recommend in this category is the InsideRide E-Motion. 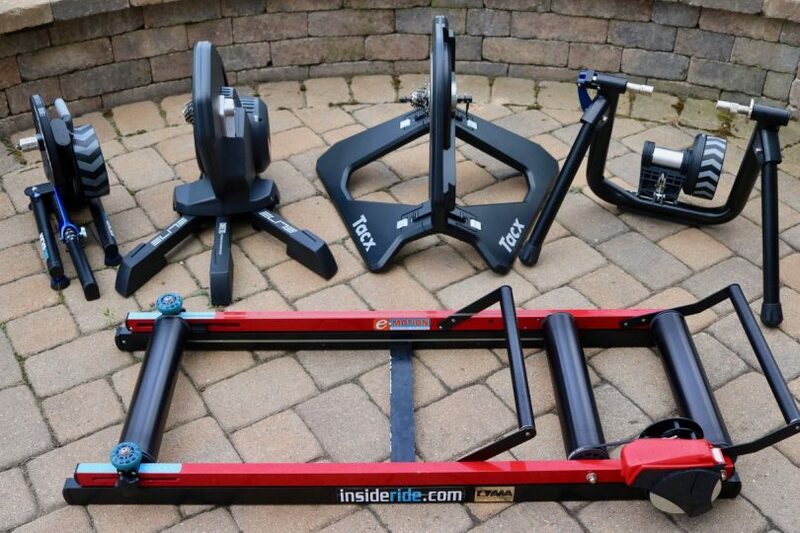 InsideRide added Elite Qubo Digital B+ smart resistance unit to their e-motion rollers a few years ago. You can read all about it in my review here. This year, they updated the resistance unit with an in-house unit. The new resistance unit is ANT+ FE-C and Smart Bluetooth compatible making it compatible with Zwift, TrainerRoad and other apps that support those protocols. These rollers might not be the quietest option, but they are robust and easy to use. I have been using mine since 2012 and replaced the belt once so far. The InsideRide emotion with the resistance unit cost $1,200, and you can purchase it directly from InsideRide. Elite also introduced the Elite Nero this year. The Nero can simulate slopes up to 7% and it is Smart Bluetooth, FTMS, and ANT+ FE-C compatible. It will interact with all kind of apps including Zwift, TrainerRoad, The Sufferfest, and any app that support these protocols. Elite implemented two flywheels (2.7kg each) in the rear rollers to give you a better road feel. The NERO also has a floating base to absorb abrupt movements and makes it easier to ride especially for beginners. The NERO retails for $900 and you can pre-order yours today for late December delivery or early next year. Hopefully, you will find this guide helpful. If you have any questions about any of these trainers, please don’t hesitate to ask in the comments below. Just a FYI, Inside Ride now sells the rollers with their own in-house smart control unit. The new unit even supports power match. Regarding noise, I really don’t find them loud at all. When I first got the smart control unit there was some belt noise when cruising at lower watts, sub 130 if I’m recalling correctly, but they no longer make this noise. The other factor which may be resulting in a loud ride is perhaps tire selection/pressure. From the start I have used the stock rubber which came with my bike at 100psi and like I said I don’t find them loud. Certainly no noise complaints by my family in my household. Thanks – good to know. I saw on DCR’s site that they had moved to their own control unit (was that you posting there as well?). I’ve been using Lemond Revolution since it first came out. Getting tired of the noise – you comment helps as I’m a roller fan (rode Kreitlers for almost 20 years). Thanks for the update. I saw they introduced a new one this year but unfortunately, I didn’t get to test it. I updated the post. As for noise, I think the Elite Quobo made it a little louder but will have to play with tire pressure and selection to see if I can bring it down a bit.